Galgorm Castle in Ballymena will be the venue in August for the first European Challenge Tour event in Northern Ireland for 10 years. 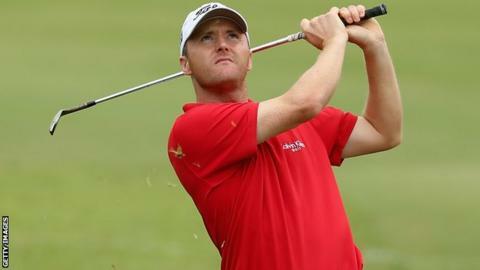 Michael Hoey, a four-time winner on The European Tour, will headline the field for the Northern Ireland Open Challenge from 29 August to 2 September. Hoey also won three times on the Challenge Tour early in his career. "This event will contribute to the development of the next generation of Irish golfers," said Hoey. He added: "The Challenge Tour was hugely important in my early career and helped me develop into the player I am today." Hoey, whose biggest win came at the 2011 Alfred Dunhill Links Championship, is ambassador for the 170,000 euro event. Galgorm Castle has hosted events on the third-tier EuroPro Tour in recent years and is now upgrading to the Challenge Tour. "We are delighted to bring the Challenge Tour back to Northern Ireland, a country which has experienced such great success on the world golfing stage recently and which produced record crowds at last year's Irish Open," said Alain de Soultrait, Director of the Challenge Tour. "Galgorm Castle provides a superb venue which is fitting of a tournament of this stature. "We are sure that in the coming years this will grow to become one of the premier events on the Challenge Tour schedule, creating more and more opportunities for talented young golfers throughout Ireland."